Make the process of buying a kitchen or bathroom as simple as possible through choosing our finance payment option. This means that you can spread the cost of your new kitchen or bathroom in a way that is right for you. 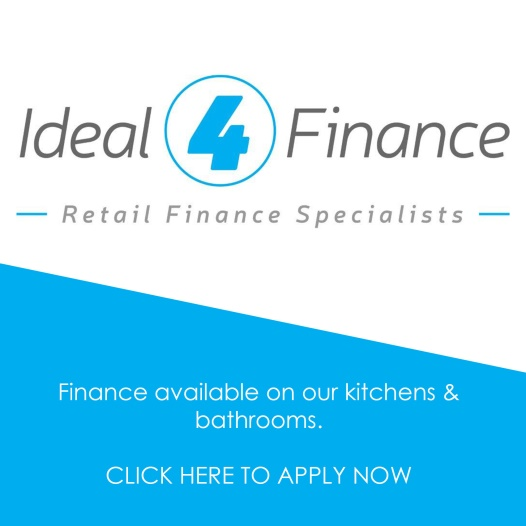 We have chosen to offer our finance option through Ideal 4 Finance who have access to a range of lenders for the most competitive deals and high acceptance rates. This means we can offer you the most appropriate deal that is best for you, with a quick decision within 24 hours and flexible terms for borrowing. Kick off your new project with us today. Making your application online is the fastest, most convenient and the most secure method of doing so and your initial application will not affect your credit rating. However should assistance be required you can telephone the Ideal4Finance office directly on 020 3617 4647 where one of their dedicated team of loan advisors will be happy to process your application over the telephone. The telephone application service is available Monday – Thursday 8am -7pm, Friday 9-5pm and Saturday 10-4pm. Hawk KBS Ltd is an introducer appointed representative of Ideal Sales Solutions Ltd T/A Ideal4Finance. Ideal Sales Solutions is a credit broker and not a lender FRN 703401 Finance available subject to status. Loans of 25000 and above available on a secured basis. Think carefully before securing other debts against your home. Your home may be repossessed if you do not keep up repayments on a mortgage or any other debt secured on it.